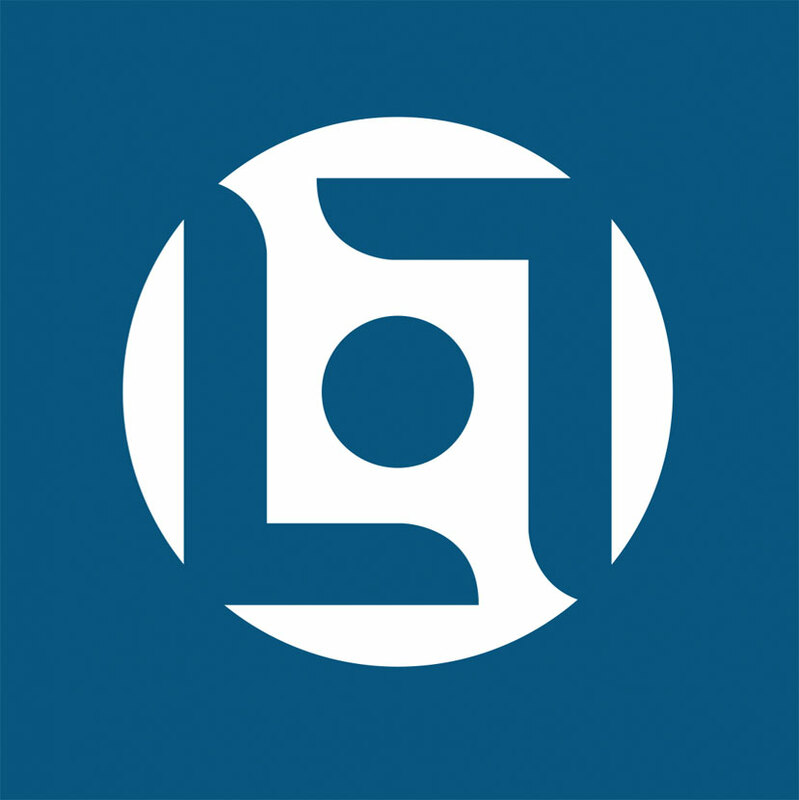 EUMETSAT is a global operational satellite agency at the heart of Europe. 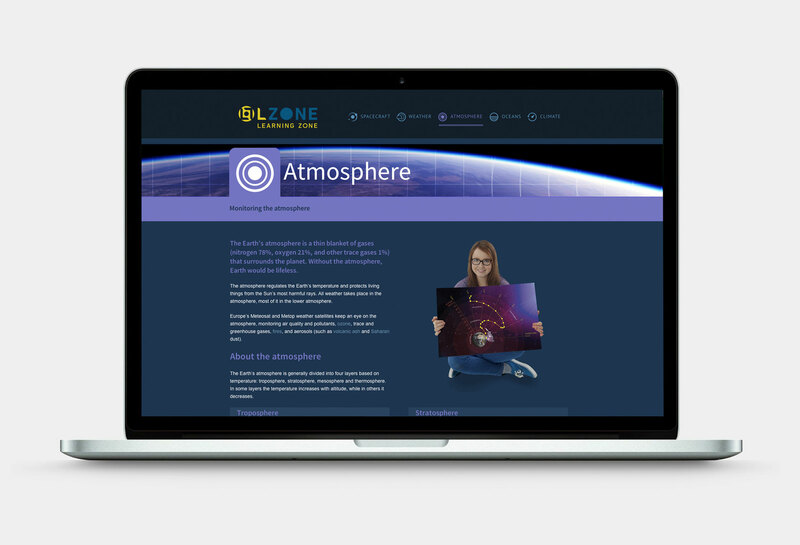 It’s mission is to gather accurate and reliable satellite data on weather, climate and the environment around the clock, and to deliver them to a total of 31 member and cooperating states throughout Europe, as well as international partners and other worldwide users. With an aging workforce in the areas of meteorology, EUMETSAT needed to develop material aimed at their most difficult audience - teenagers. 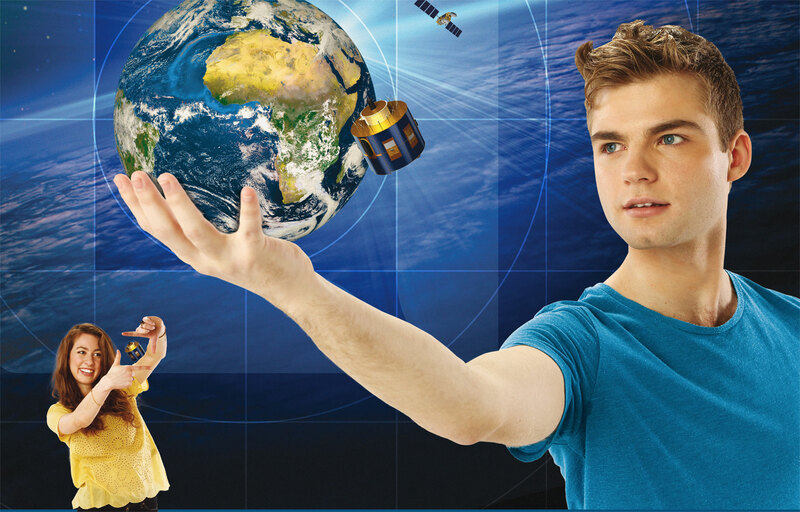 At present a large number of young visitor groups visit EUMETSAT. 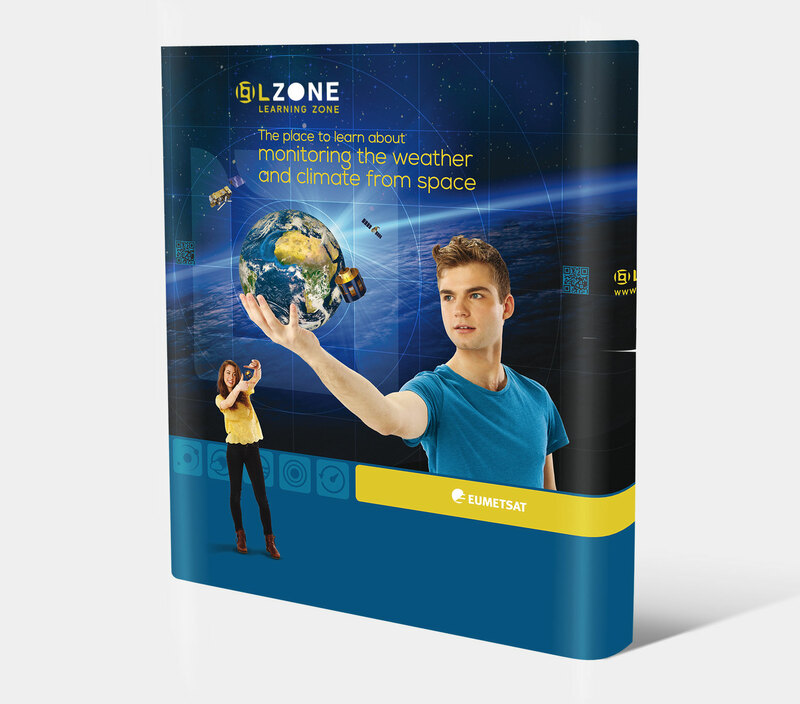 The aim of the project was to create excitement within schools and the teenage community on what EUMETSAT does and how weather satellites play an important role in our everyday life. 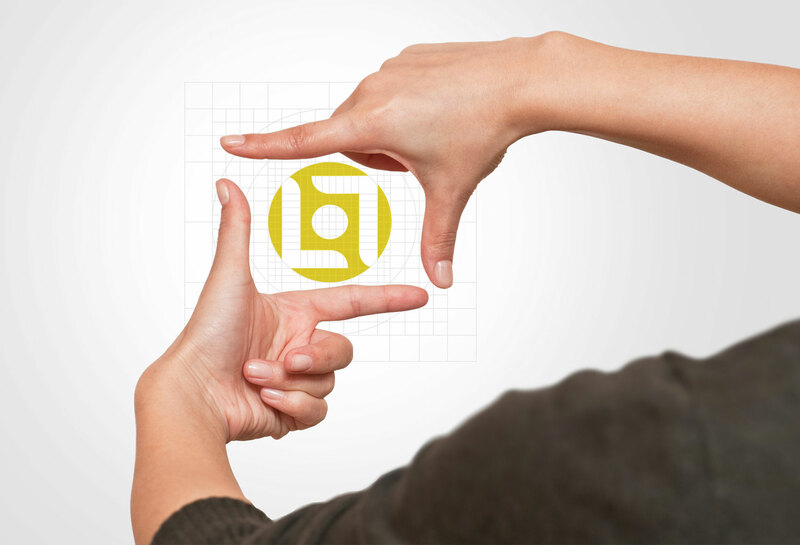 Challenge: The initial priority was to develop a name and a ‘youth’ brand identity for EUMETSAT. 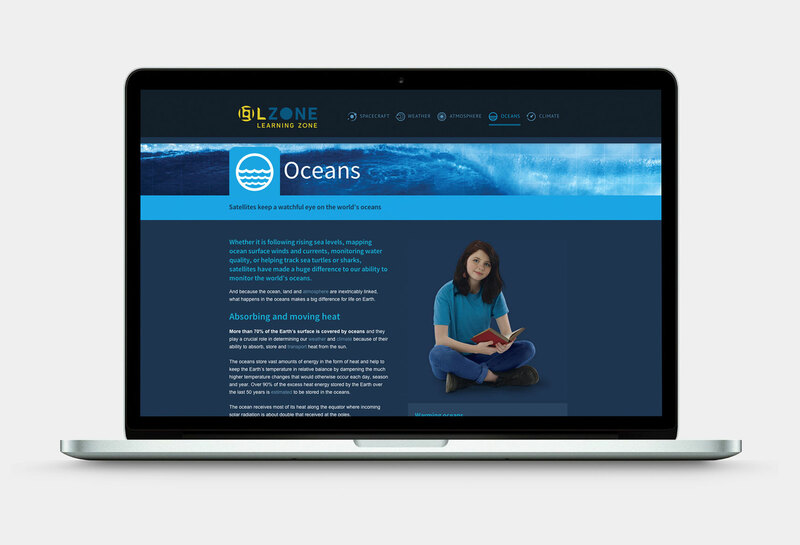 The second priority was to assist in the design of a website which would provide a forum for a basic level of information on EUMETSAT, raise awareness of its’ role in weather and climate monitoring, and inspire the next generation of EUMETSAT employee. 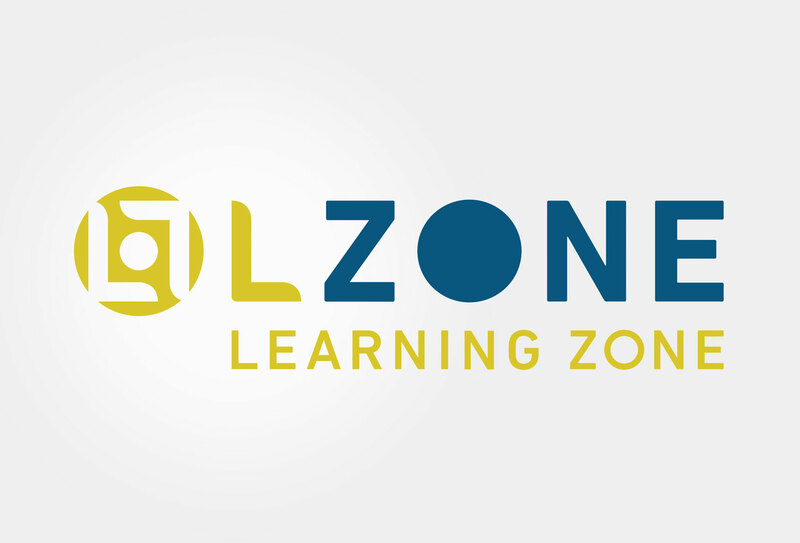 Solution: LZone (Learning Zone) was the perfect name as it reflected the brand positioning - a place to learn about monitoring weather and climate from space. Throughout the development of all communication it was important to use real young people in the photography and simple iconography. 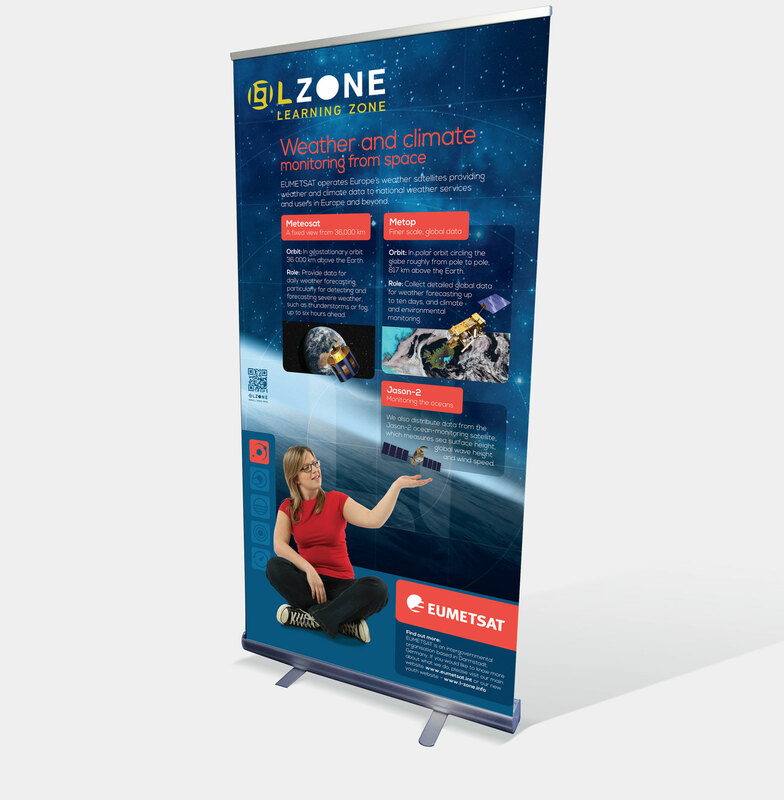 This combined with direct messaging and futuristic space imagery, created a vibrant but friendly engagement that worked successfully on various media and technology platforms used by the main audience – teenagers.